On this page, you can find profiles for both businesses and advisers, followed by the industries they specialise within. Each profile comes with a hyperlink to their website and any social media handles. It’s the easiest way to generate leads for your small business – Enjoy! Bring your site back to life with a fresh design and a boost for your online promotion. Unrivaled selection of makeup, skin care, shapewear and more from classic and emerging brands. A Creative Agency based in London’s Docklands specialising in Beauty, Fashion & Film. Bringing you the best investment opportunities that meet your needs. Digital marketing services that develops a creative and unique brand story for your business. Helps IT leaders effectively implement, realise and measure the business value of Enterprise DevOps. Family run business with 20 years experiences offering both courier and chaffer services. A personalised life plan which looks at healing the root cause of your emotional blocks. A mobile service that builds health awareness at people’s place of work. Jewellery is like a biography, a story that tells the many chapters of your life! Passionate about creating products using natural ingredients. Professional and creative workshops for people who want to take control of what they put on their skin. Anti-wrinkle Injections – Dermal Fillers – Eyelashes & more! 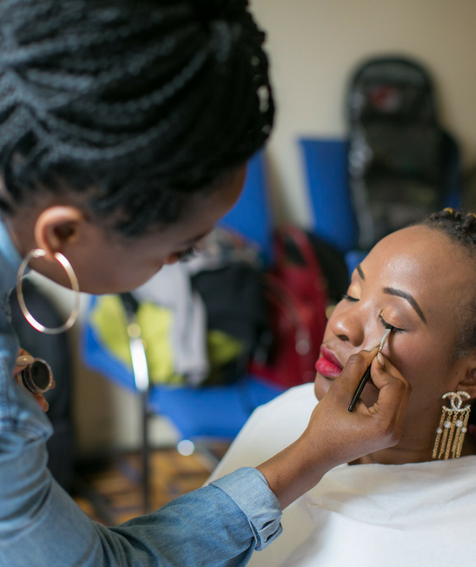 On a mission to enhance the confidence in women by painting one face at a time. Consultancy devoted to supporting, motivating and inspiring individuals to achieve their professional goals. Amplify your life to unlock the greatness which lies within. We give independent beauty brands an avenue of distribution and awareness through our retail stores and website. Slay in 2019 with V’s Vivid Liquid Lipsticks – also create bold looks with their palette. A lifestyle brand which helps to cultivate healing and purpose through uplifting messages and artworks.